IAPMO Research and Testing, Inc. is a product certification body which tests and inspects samples taken from the supplier’s stock or from the market or acombination of both to verify compliance to the requirements of applicable codes and standards. This activity is coupled with periodic surveillance of thesupplier’s factory and warehouses as well as the assessment of the supplier’s Quality Assurance System. This listing is subject to the conditions set forth inthe characteristics below and is not to be construed as any recommendation, assurance or guarantee by IAPMO Research and Testing, Inc. of the product acceptance by Authorities Having Jurisdiction. The purpose of this acceptance criteria is to establish requirements for internal epoxy barrier pipecoating materials for water pipe to be recognized in an ICCEvaluation Service, Inc. (ICC-ES), evaluation report under the 2003 International Plumbing Code® (IPC) and the 2003International Residential Code® (IRC). Bases of recognitionare IPC Sections 102.4, 105.4 and 108.7, and IRC SectionR104.11. This certification recognizes compliance with NSF/ANSI 61. Products appearing in the NSF Official Listing are authorized to bear the NSF mark. ANSI/NSFstd61 – National Sanitation Foundation, listed Standard 61, immediate return to service hot and cold potable water pipes. UPC® – Uniform Plumbing Code, USA and Canada – listed for application to metallic and non metallic pressurized pipes. IPC® – International Plumbing Code, listed domestic water piping. IRC® – International Residential Code compliance, listed domestic water piping. ICC-NES – International Code Council, National Evaluation Services- listed domestic water piping, PMG 1009 (Plumbing, Mechanical and Gas Code). Our ePipe® team is committed to the development of long term relationships. This is why we focus on superior service and consistently provide it with courtesy and respect. We feel that honest and professional business practices are essential to quality customer relations. We respond quickly to our customers’ needs, especially when leaky pipes, rusty water and lead and copper contamination are involved. 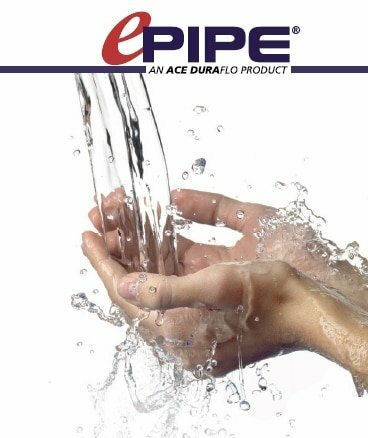 ePIPE’s patented technology offers the best in proactive water leak and contamination prevention. ePipe® is protected by US Patents #7160574, #7517409, #7858149, #8033242, #8206783, #8343579, #8354140, #8399813, #8524320, #8696823 and #8795768, Canadian Patent # 2707023, European Patent #2099581 with multiple international patents pending. As an alternative to complete pipe replacement, the ePipe® system is based on “in-place” pipe restoration technology. We invite you to explore our web site to learn more about our ePipe® epoxy pipe repair, the process, projects, approvals and benefits.